One of Marvels more distant movies the Inhumans has been pushed back even further to make room for Spider-man. The original release date was towards the end of 2018 but has now been pushed back to July 12th, 2019. The changes will overall help the movies as the Inhumans will kick start a whole new phase of the Marvel movies and will now be coming after the Infinity War movies which could leave us with a very different Marvel movieverse. 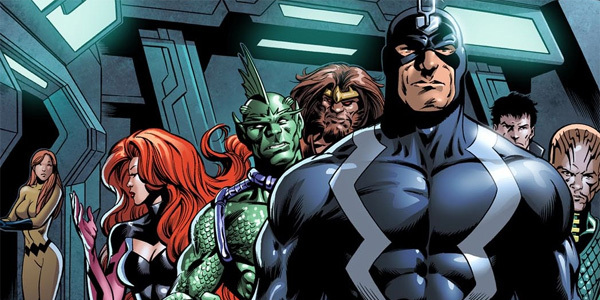 Although we haven’t seen any casting or plot news for the Inhumans it is still a very current topic for Marvel at the moment with them releasing new comics and also the SHIELD TV series helping introduce them. Pushing them back just means Marvel/Disney will have more time to perfect them as they could be a whole new Guardians of the Galaxy which came out of nowhere and fast became one of the most talked about movies of the year.